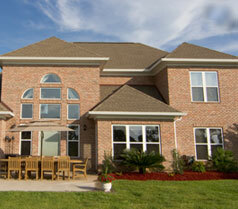 Divine Design Homes of Myrtle Beach has been building high quality Grand Strand new homes for more than twenty years. We tackle any home remodeling job with the same eye toward excellence as we would if it were a million dollar home. Divine Design has built a solid reputation in the Myrtle Beach home building community with our hard work, fair prices and commitment to constructing the best home possible for your family. The nation’s housing market has experienced a lot of turmoil and uncertainness. Although many markets, including the Myrtle Beach housing market, are showing good signs of bouncing back, some buyers may be reluctant to enter the market. Instead of buying a new property, many people are instead choosing to remodel their current home. For a fraction of the price of building a new home in Myrtle Beach, you can remodel your home. The recovering home sales market has created a fantastic situation for homeowners looking to remodel. Increasing home prices are restoring that equity that many people lost during the height of the foreclosure market when many neighborhoods were filled with empty houses. Many homes that were previously underwater are now showing a positive equity. This makes getting a line of credit against that equity much easier for the first time in years. The Myrtle Beach home sales market experienced growth over the previous year every month in 2013. Many homeowners that are looking to sell a home are also choosing to update, upgrade and renovate their home before placing it on the market. Renovating rooms like the kitchen and bathrooms can pay big dividends in the sale price of home. The heart of many homes like the family room or dining room can benefit from fresh paint, new carpet, modern light fixtures, new windows and more. Exterior renovations are another area that Divine Designs can remodel on your home. Increasing the curb appeal is one the most cost effective ways to get a higher sale price on your home. First impressions are very important as we all know. Items like a steel entry door, deck, vinyl siding, garage doors, roofing and a grand entrance can mean many extra thousands of dollars added to the asking price of your home. 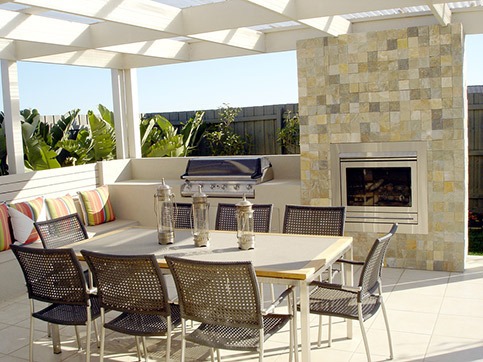 Outdoor living areas with kitchens, barbeques, pergolas or sunrooms are also very effective ways to increase the value of your home. Divine Design’s extensive experience in interior and exterior renovation makes us a phenomenal choice to modernize your home. Whether you plan on doing the work to increase your family’s enjoyment of your home, or to place your home on the market to sell, we can ensure you get superior work at an affordable price. Head over to the Divine Designs Contact Page to get in touch with James Kelly today. He can help you design and build your vision for your Myrtle Beach home renovation.